Ljubljana International Orchestra has been inviting young musicians to creative orchestral residencies and has been increasingly gaining recognition among both, young musicians and professionals, world acclaimed leading artists across the globe. The Orchestra is part of the Branimir Slokar Academy, an organisation that supports the orchestra’s long term development, focusing to create an international orchestra of outstanding young musicians and providing them with the invaluable experience of playing in a symphonic orchestra and working with distinguished professors, conductors and soloists. 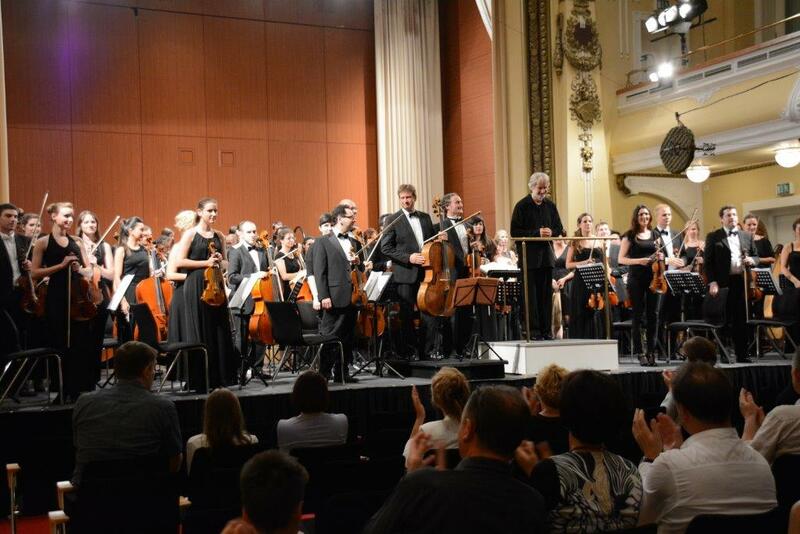 The orchestra has performed successfully in Slovenia, Italy, Austria, Croatia, Serbia, United Kingdom and Spain. During the Royal Concertgebouw Orchestra (RCO) meets Europe tour, in each country the orchestra perform one opening work side by side with a local youth orchestra. The concept and the project is called “RCO MEETS EUROPE – SIDE BY SIDE”. In Slovenia, in the summer of 2016 Ljubljana International Orchestra was invited to play with one of the very best orchestras in the world. Not only 31 musicians were selected to play in Cankarjev dom, but also chief conductor Daniele Gatti was so impressed after sectional rehearsals of LIO, that he did a special rehearsal with all our members in Gallus Hall. This gesture was an absolute gift and unexpected added value to the overall cooperation. To the musicians who are taking part in the orchestral residencies this was an exceptional moment, a lifetime moment. The orchestra maintains its own network of musicians that are selected in auditions and invited due to the characteristics of the programmes. Musicians from approximately 35 different countries, hence different cultures and social environments, strive to achieve the highest performance level. Orchestral Residencies in Ljubljana also enable international mobility of musicians in Europe and use the power of music to encourage international dialogue.